DRM-X 4.0 supports the most popular formats: MP4, WebM, MP3, WAV, PDF document. DRM Digital Rights Management Protect Content PDF, Protect MP4, Protect WebM, Protect MP3, Protect WAV, Protect html. DRM-X 4.0 supports the most popular formats: MP4, WebM, MP3, WAV, PDF document. 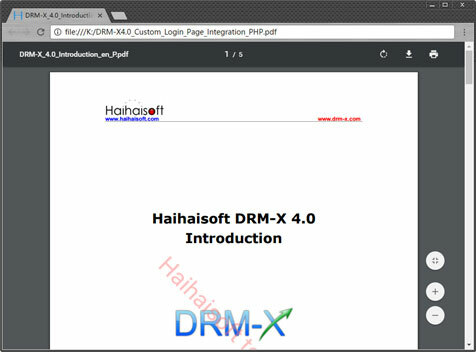 DRM-X 4.0 also supports encrypted web content. For more information, please check HTML5 web protection. For encrypted files, you can safely upload to your server or cloud host for publishing. 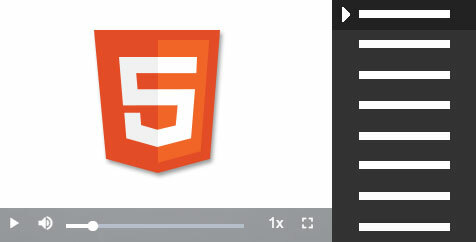 You can easily embed an online video with HTML5 video tags in web pages, and support playlist and shortcuts, online video support smooth playback, drag and drop and cache. You can also distribute via USB flash drive, CD and other traditional media. Users must obtain a license to open encrypted files using Xvast for the first time. The license rights are set by you in the control panel of DRM-X 4.0. The user can read the PDF directly in the Xvast browser, or enter the URL of the PDF to read the PDF document. Xvast also supports reading locally downloaded PDF files. For PDF, it supports features such as dynamic watermark, blacklist, disable Clipboards, limit print count and disable virtual printer.